Satake Australia design and supply a compete range of materials handing equipment. Satake design and build heavy duty bucket elevators, drag conveyors, screw conveyors, pneumatic slide valves, vibratory bin dischargers for grain, powder and bulk handling duties. Our Projects Department have the engineering expertise to correctly size and configure complete mechanical handling systems, either for standalone installations or as part of a larger project. In-house manufacturing combined with precise laser cutting of components ensures long life and reliability. 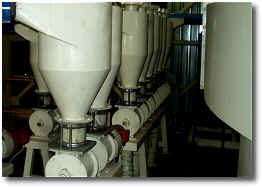 Pneumatic conveying is the preferred method of transporting powdery granular materials in many processing industries. 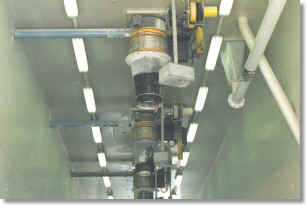 Satake have adopted unique procedures for the design of suction conveying systems that provide highly efficient layouts with minimal moisture losses. We supply and manufacture all parts of the systems including cyclones, dust filtration equipment, fans, airlocks, sight units, pick-ups, etc. 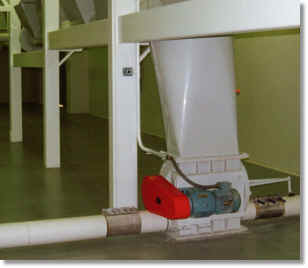 Positive pressure (blowline) systems are used in many different industries because of their flexibility to transport products to destinations that would be hard to reach with mechanical conveying equipment and where a sealed and dust-free connection is essential. Satake have developed their own special software to accurately calculate the most cost effective solutions for blowline pressures, routes and sizes. We are able to supply individual equipment such as blowers, rotary valves, receivers, filters, piping, etc or completely engineered turnkey solutions. 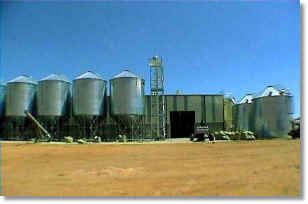 Satake provide silo complexes either for bulk storage or for processing plants such as cleaning, grading, milling or treatment installations. 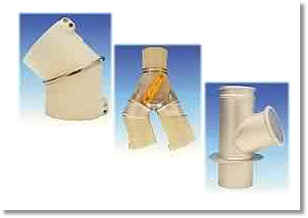 We can also supply the associated intake, transfer, drying, aeration, discharge and loading systems. Safe and accurate out loading systems are used in many power processing industries where the finished products are transported in bulk. Delivering product in bulk reduces transport and packaging costs. 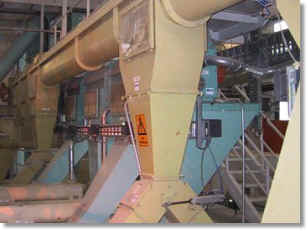 Satake provide dust free loading systems for a range of powdery and granular products. Satake manufacture and supply a comprehensive range of rotary valves and airlocks for both blowline feeding applications and cyclone/vessel discharge and isolation. 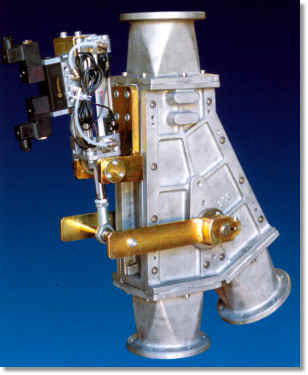 A range of valves are held in stock and can be supplied motorised or bare shaft for gang drive. A range of special features can be added including rotation monitoring devices, replaceable rotor tips, quick clean opening, etc. These tough, durable components are manufactured by Olocco in Italy and are of exceptional quality. They have been successfully used in our projects for many years and have become the industry benchmark for long and trouble free life. Available with options and treatments to suit a wide range of industries from hot minerals to food. The most commonly used components are stocked in our Sydney stores. Any particular branch line can be pre-selected and programmed. 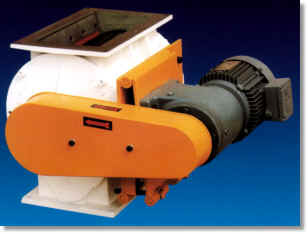 The valve effectively handles powdered or granular food materials such as flour, milk powder and sugar. 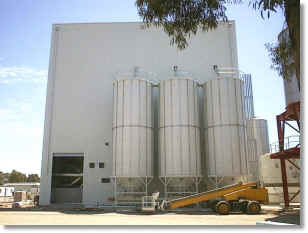 Satake Australia stock the Sallhofer aluminium spouting system. We can provide most items 'off the shelf', including bends, diverters, sampling sockets, floor flanges, clamps and tubing.